As the country’s Prime Minister, Mrs May has widened the rift within her party, rather than address the conundrum. Theresa May’s historic rebuff in the House of Commons, verily negating the Brexit bill, decidedly overshadows Wednesday’s fragile survival. The breather may not be altogether reassuring, though the striking feature must be that the Commons has within 24 hours rejected the Opposition motion of no-confidence by 325 votes to 306. 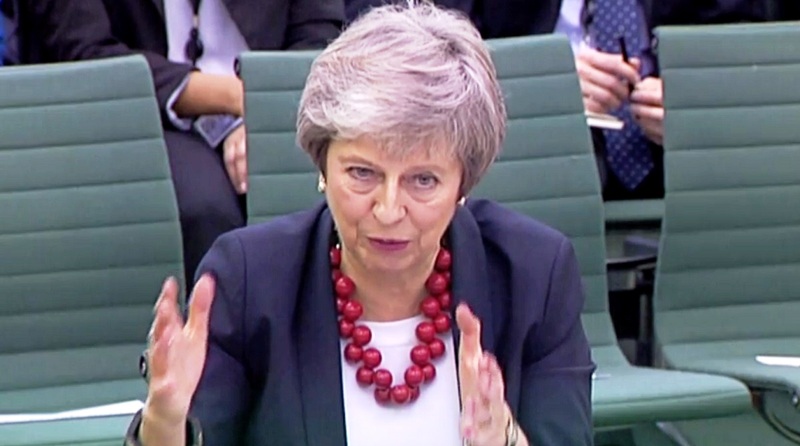 Though she has been afforded another innings at the crease, the nub of the matter must be that the Brexit deal is inching towards an eclipse and the authority of Britain’s Prime Minister has been jolted to its foundations. The result of the confidence vote has scarcely quelled the turmoil. Tuesday’s rejection by the Commons of the withdrawal agreement to leave the European Union was as overwhelming as it was decisive, indeed a parliamentary swingback from the wafer-thin margin of the referendum. The Prime Minister helms a cabinet that is hopelessly split, and a party and a country that is divided on an issue that had shaped the momentous referendum in June 2016. Seldom in British constitutional history have the storm clouds appeared so forbidding. Historic was the rebuff that Mrs May encountered in the Commons, verily a watershed event in British and European history. Her defeat by 230 votes (432 to 202) was the greatest that any government has suffered ever. Central to the Prime Minister’s woes must be the divisions within the Conservative Party between those who want a deal and those who do not. For close to three years, it has been a roller-coaster ride for Brexit and ironically enough, as the country’s Prime Minister, Mrs May has widened the rift within her party, rather than address the conundrum. It is an index to the bickering within that she had initiated the Brexit negotiations, not with EU but with Tory hardliners. The obsessive concern over immigration and Brexit extremists had in the wider canvas overshadowed Britain’s relations with Europe, which is more than a mere geographical expression. In the net, Mrs May had alienated the House of Commons ~ the bedrock of the fountain-head of democracy. It is the way things often work. Such accidents shape the narrative as do profound judgments and unity of purpose. In the current circumstances, there is no majority in Parliament for any of the alternative Brexit deals. Britain crashing out of the EU without a deal could lead to a disaster. The Commons cries out for consensus, indeed parliamentary cooperation, as never before. This will call for fresh legislation, the formation of empowered committees, and a dramatic mending of fences between Mr Jeremy Corbyn and Mrs May. Constitutional initiatives such as citizens’ assemblies and yet another referendum would enable the political class to hold their parties together. That said, the idea that another referendum would heal divisions may be pie in the sky; they could become deeper and still more intractable. The voice of the people may yet be misleading. The British body politic is convulsing as democracy is on test.